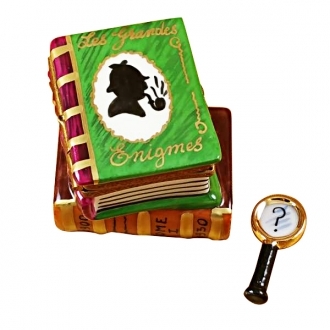 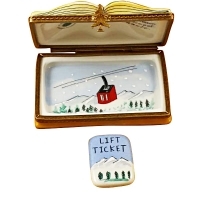 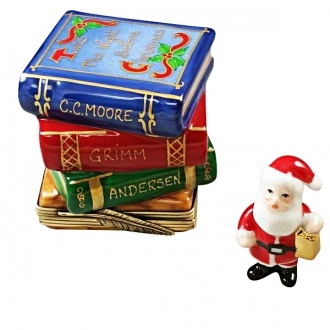 Trail map w/removable lift ticket - Limoges Boxes and Figurines - Limoges Factory Co. 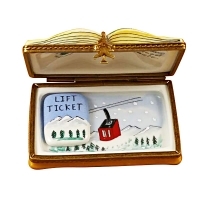 This Limoges box, that replicates an open book, shows a magnificent range of Snow Mountains with the vegetation on the foot hills. 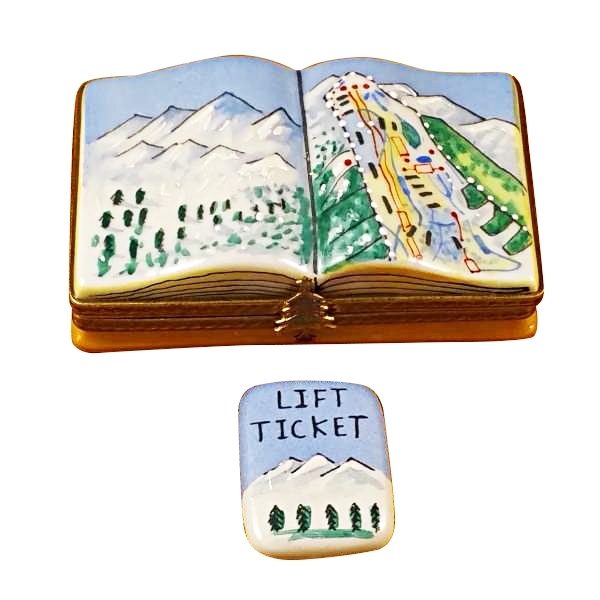 On one page a trail map is also displayed. 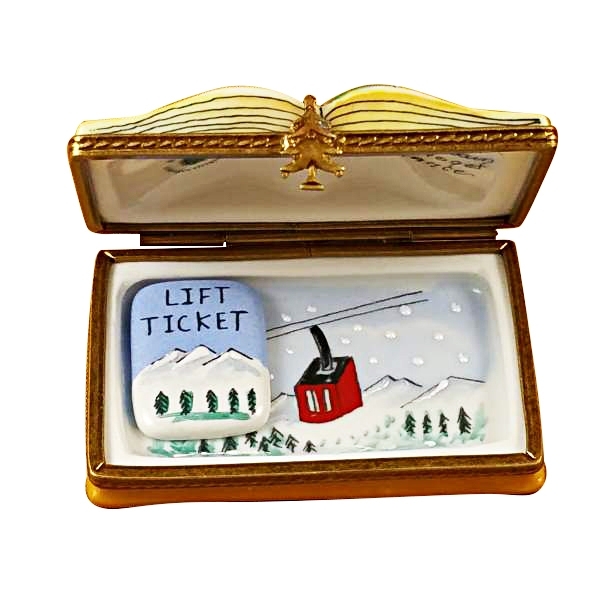 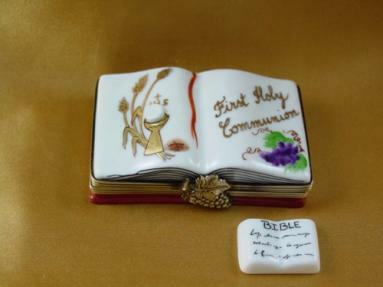 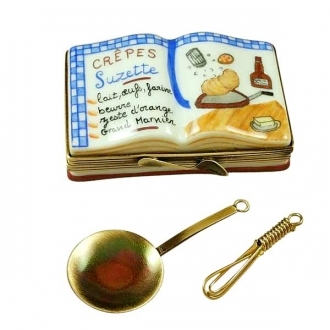 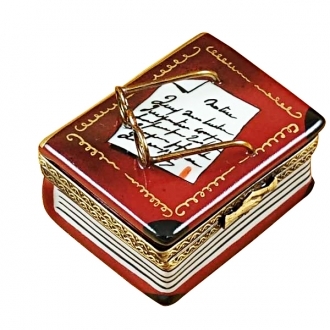 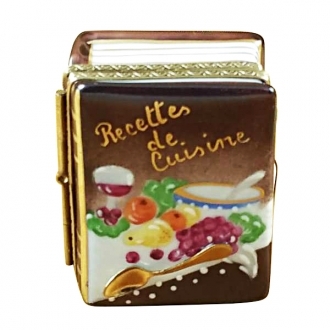 This rectangular Limoges box presents a pleasant picture and so it can very well be used as a super special gift article. 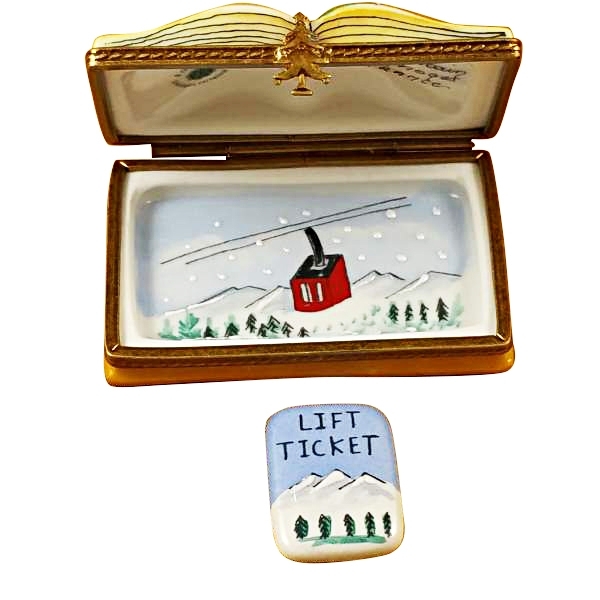 A removable porcelain lift ticket is also provided with the box.